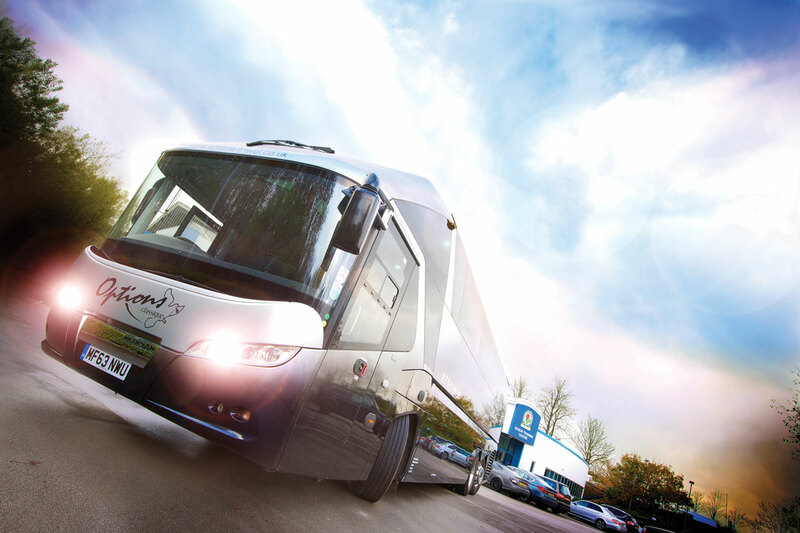 Coach Options in Rochdale has taken delivery of a 12.99m Neoplan Starliner. The coach is for use transporting Blackburn Rovers team and staff, a contract it has held for 33 consecutive seasons. The vehicle is also made available for corporate function bookings. It is powered by a MAN D26 EEV 505bhp engine matched to 12-speed ZF AS-Tronic gearbox. Specifications include an iPod, a SatNav, forward and rear facing camera displays, full leather seats, blue LED lighting to roof panels, pull out fridge between seats, KVH Tracvision satellite system, a large capacity water tank, Sky HD box, a docking station and Wi-Fi connectivity. 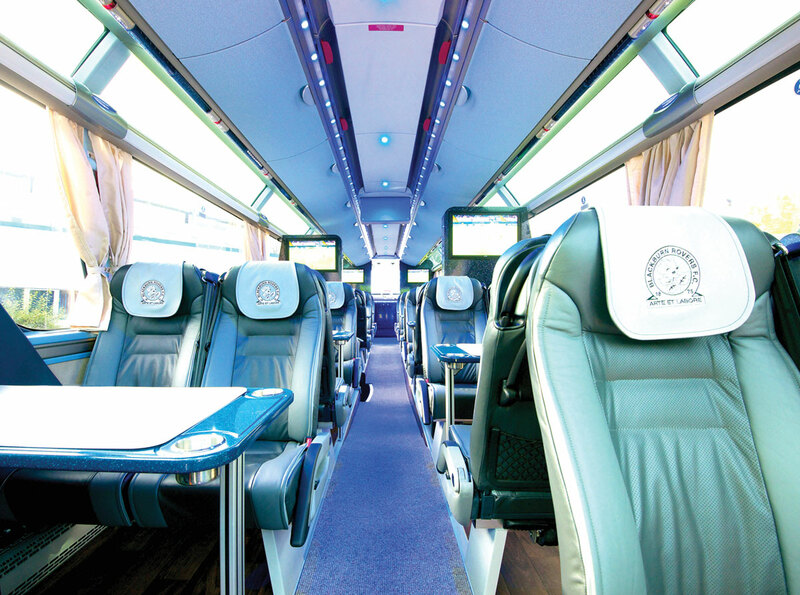 The coach also features a full interior conversion by AD Coach Systems, which includes a bespoke servery fitted with Neff and Sharp appliances at the rear. Corian tables and work surfaces are fitted throughout. Acquired through MAN Financial Services, the Starliner joins two other MAN engined vehicles in the Coach Options fleet, including a 61 seat Neoplan Tourliner and a Van Hool T916. MAN Truck and Bus UK Ltd supplied the vehicle.